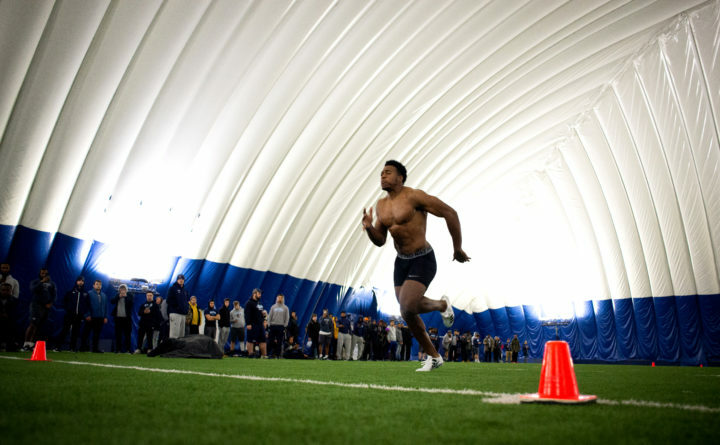 Linebacker Sterling Sheffield shows off his form while running the 40-yard dash on Friday during the University of Maine's pro day inside the Mahaney Dome on the Orono campus. Good morning. Temperatures today will be in the mid-40s throughout the state today. A preview of some of the construction projects going on in Bangor this spring and summer. 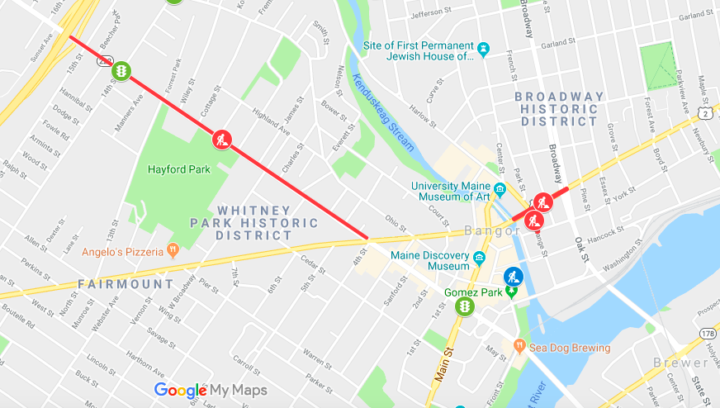 –Paving, stop light replacements, a redesigned downtown parking garage and a new walking trail so pedestrians no longer have to use a drainage pipe are in store for the construction season. –While Maine People Before Politics slowly wound down around 2016, it still paid a total of nearly $100,000 to the governor’s daughter and top political adviser. Those expenses included paying Lauren LePage more than $30,000 for a total of 12 1/2 months of work as executive director over the course of fiscal years 2016 and 2017, a job she held while attending the University of Maine School of Law. During that same period, the group paid $65,000 to the firm run by the former governor’s longtime political strategist, Brent Littlefield, who is now a media adviser for the group. A young moose eats aquatic plants in Sandy Stream Pond in Baxter State Park on Saturday, Sept. 15, 2018, while Mount Katahdin looms in the distance. The peaks of the mountain visible from the pond are (from left to right) Pamola, Hamlin, and North Howe. –The popular route up Mount Katahdin closed in 2016 after a rock and debris slide. It was originally supposed to reopen in 2018. –Ownership changes at two Knox County general stores have not stopped both places from being centerpieces of community. The new owners might make subtle changes, but the core of what makes country stores so quintessentially Maine will continue. Everard Hall, 72, of Milbridge, Maine. 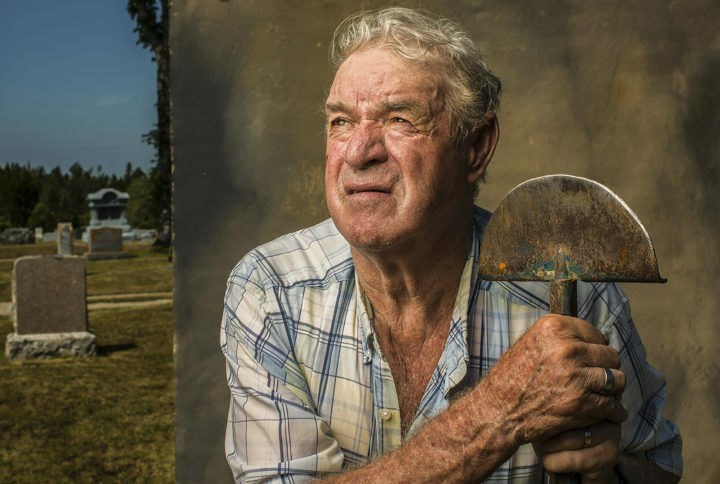 Hall has been digging graves by hand for more than 50 years, and has buried more than 2,400 souls during his work as a gravedigger, including many family members and friends. –Maine people are the oldest folks in the country. There’s more oldsters here, relatively speaking, than any other state in the union. That fact is usually seen as an economic and health care conundrum to be solved. But for one Maine man, it’s a photographic opportunity and something to celebrate. –It is important to emphasize that there are powerful things you can do to make sure that your data is protected. Rather than be the next victim, you can be your own best fraud fighter instead. A person snowshoes in Pownal. –In Maine, the tail end of winter often brings on a little cabin fever. 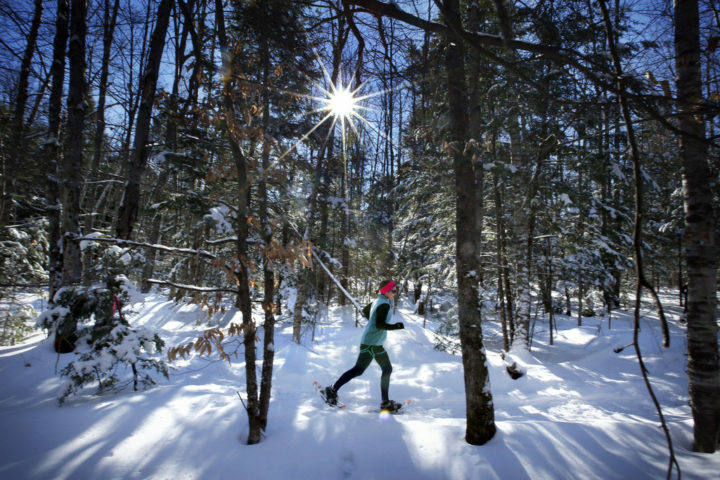 Grab your snowshoes and get outside.